Shin splints can range from annoying to totally debilitating. Here’s how to make sure they never leave you sidelined. I have personally experienced the excruciating pain of shin splints, starting back in high school. A dull aching pain along the medial lower leg that initially arose toward the end of runs eventually gave way to shin pain that made it nearly impossible to even start a run. On some days, I could barely walk after getting up in the morning. “Shin splints” is not really a technical medical term. It generally refers to pain at the middle to distal third of the shin on the inner (medial) part of the lower leg (tibia). 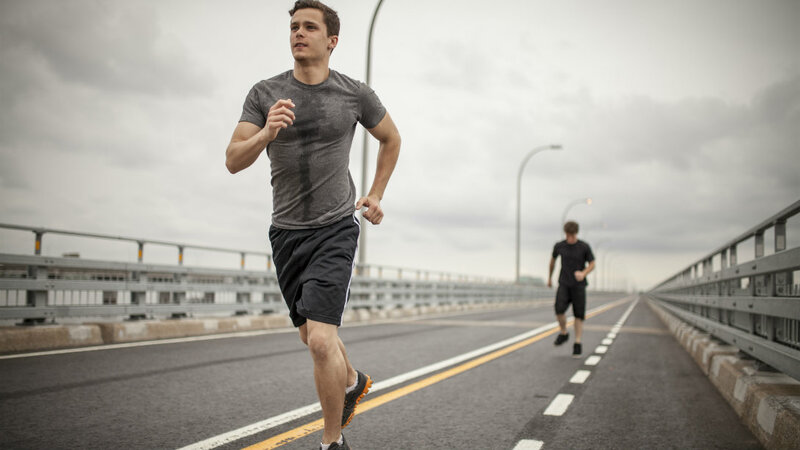 Shin splints are typically the chronic condition called medial tibial stress syndrome (MTSS). lack of cushioning, and lack of arch support is the most common cause of shin splints. When afflicted with MTSS it is important to take a step back from your training and determine if you are stuck in the terrible too’s. You may need to take some active rest with cross-training (for example, swimming, biking, yoga, weights) until your pain with everyday walking subsides. We can all use a little work on our core, flexibility, and balance. And reevaluate your shoes. If you are dealing with MTSS, I would focus on a stability shoe with good support and heel cushioning. You can always add an over-the-counter or custom orthotic for a little extra arch support and heel cushion. Doctors can prescribe custom orthotics, night splints for calf stretching, and recommend evaluation by a sports-oriented physical therapist, but physical therapy with gastrocnemius stretching (stretching your calves leaning against a wall), eccentric strengthening, and massage can work wonders for this condition. Ice it Up: As soon as you feel pain, begin icing your shins. If you can weaken the inflammatory response, therapy is easier. About the Doctor: Victor R. Prisk, M.D., is a board-certified orthopedic surgeon, NCAA All-American gymnast, and GNC medical advisory board member.